From Historic Main Street to the silver mines, Park City is home to countless historic hotspots worthy of a visit when taking a break from the slopes or trails. Below is a look at some of The Agency’s favorite historic, must-see destinations in and around Park City. 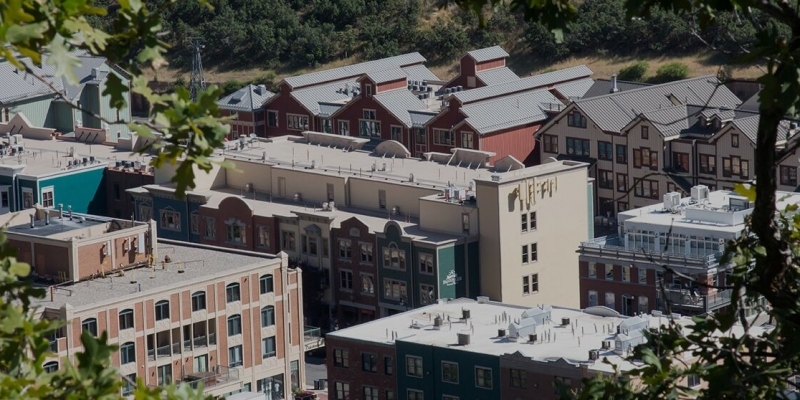 HISTORIC MAIN STREET - The heart and soul of Park City is its Historic Main Street, the epicenter of shopping, dining and entertainment, nestled between Park City Mountain Resort and Deer Valley. Park City began as a raucous silver town, later to be reinvented as a mountain resort and world-class destination, home to Sundance Film Festival and host of the 2002 Winter Olympics. Its Historic Main Street is home to more than 200 businesses, including saloons, craft breweries, fine dining establishments, independent boutiques, theatres and art galleries. Main Street also hosts regular culinary and cultural events, including an annual Arts Festival and the 4th of July and Miner’s Day parades. EGYPTIAN THEATRE - Theatrical performances have long been a centerpiece of Park City culture, with The Egyptian Theatre the stage of choice. Opening on Christmas Day in 1926, the theatre was influenced by the discovery of King Tut’s tomb, changing names many times before its Egyptian name was restored for good. In 1981, the US Film and Video Festival, later renamed Sundance Film Festival, moved to Park City with The Egyptian Theatre its original home. Given a major facelift in the 90s, the theatre hosts a variety of film premiers, theatre, comedy, musical acts and special events. MINER’S HOSPITAL - The beautiful, historic Miner’s Hospital was built in 1904, serving as the town’s hospital in the mining days. In the late 1960s and 70s it served as a restaurant, bar, skier dorms and hostel. When plans were made to demolish the building in the late 70s, citizens of Park City rallied and moved the 400-ton building to its location at City Park on Park Avenue. Today, The Miner’s Hospital Community Center serves as a backdrop for weddings, outdoor concerts, private events and a spring tulip display. Surrounded by gardens, the four-story building can accommodate up to 100 people per floor. PARK CITY SILVER MINES - Nestled throughout the town are reminders of the old silver mining days, from old miners’ cabins to mine shafts on the ski hills. Most runs on Deer Valley and Park City Mountain Resort are named after old mines and miners. Head over to Park City Museum during the summer months to take a walking tour or anytime to learn more about the town’s mining history. UTAH NATIONAL PARKS - Park City places residents and visitors within hours of some of Utah’s most renowned national parks, steeped in rich geological and cultural history. The red-rock wonderland of Arches National Park is filled with 2,000 natural stone arches, plus soaring pinnacles and giant balanced rocks. Zion National Park, Utah’s first national park, is filled with canyons, sandstone cliffs and paths once walked by ancient tribes and pioneers. Bryce Canyon National Park features a series of natural amphitheaters or bowls, carved into the edge of a high plateau. Many more national and state parks are within close reach of Park City and well worth the day or camping trip. - Also within a couple of hours drive from Park City is the Golden Spike National Historical Park, located at Promontory Summit north of Great Salt Lake. The location marked the completion of the first First Transcontinental Railroad, where the Central Pacific and Union Pacific Railroads met in May, 1869. The final joining was commemorated when Leland Stanford drove a 17.6-karat gold final spike into the ground. The park is celebrating the 150th anniversary of the railroad’s completion this May.